Divock Origi's 96th-minute Kop-end winner settled the 232nd Merseyside derby at Anfield on Sunday. The Reds have now won 11 and drawn three of their 14 Premier League games this season, and remain two points behind leaders Manchester City. 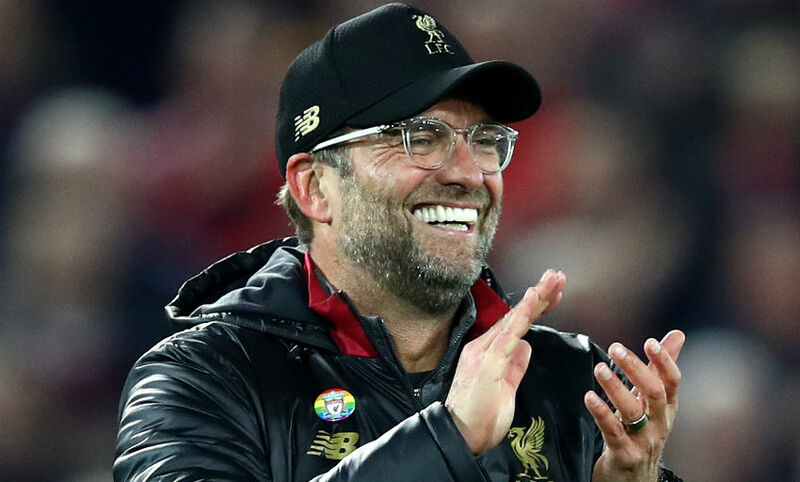 The boss was a happy man in his post-match press conference. "All my respect for Everton, they were really good. Both teams delivered a proper fight, a proper derby from the first second," he said. "It was a very intense game and obviously a much nicer finish for us." We couldn't agree more, Divock! Watch our post-match interview with Liverpool's derby-winner below, or read what he had to say here. Klopp: "It was a very intense game and obviously a much nicer finish for us." Klopp: "Derbies are always difficult but this was different to other years. It was a proper derby, a proper fight from the first second." Liverpool have scored more 90th-minute winners vs Everton than any side has against another in Premier League history (5). Divock Origi has scored in all three of his home league appearances against Everton for Liverpool. The 232nd Merseyside derby ends in the most dramatic fashion possible, as Pickford spills Van Dijk's looping volley and Origi is on hand to convert with his shoulder from close range! 'DIVOCK ORIGI! DIVOCK ORIGI! DIVOCK ORIGI!' rings out around Anfield as the Reds return the appreciation of the crowd. Origi swivels to divert Van Dijk's header goalwards, but it hits the underside of the bar. 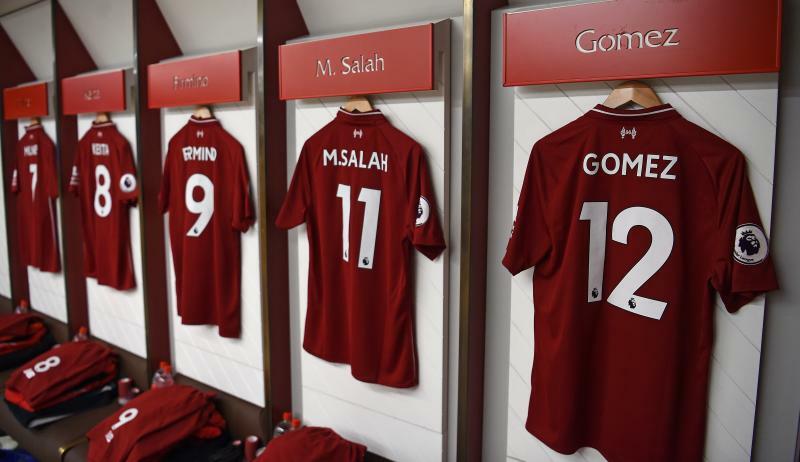 Liverpool make their third and final change. Origi is on for Firmino. We're into the final 10 minutes and the derby is still on a knife-edge. Sturridge finds Firmino on the counter from an Everton corner, but the No.9 drags his shot wide. Can the Reds find a winner? 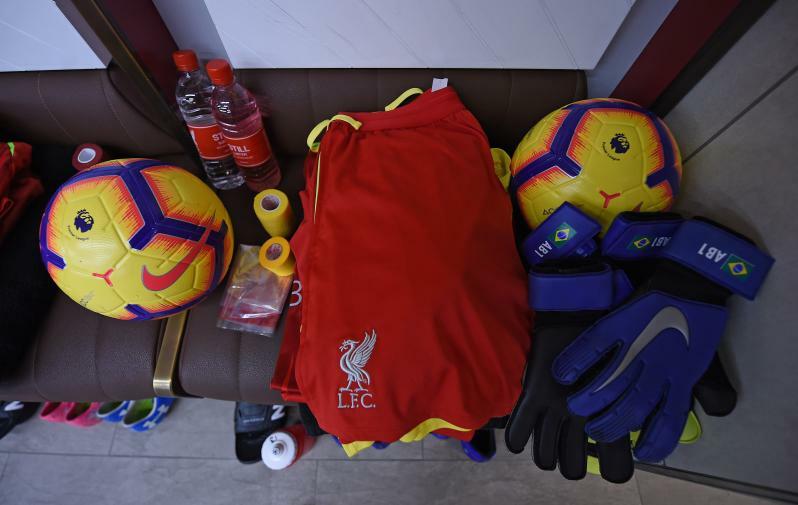 A second sub from Klopp sees Sturridge replace Salah. A first change for the Reds, as Keita comes on for Shaqiri. That's all Mane was away from converting Robertson's excellent volleyed cross. Alisson comfortably gathers Sigurdsson's attempt from distance, before Bernard blasts wide from 20 yards. Everton have come back into it after Liverpool dominated the early stages of the second half. A great one-two between Mane and Salah allows the former a shot on goal from the edge of the box, but his attempt bends wide. Mane fires wide after being played in by Firmino. Liverpool have started this second half well. Alexander-Arnold's attempted cutback to Shaqiri is cut out after Firmino's touch had sprung Salah in down the left. Salah curls one towards the bottom corner from 20 yards, but it goes just wide. Salah gets us back under way. Reckon you know hwo this ends? A fast and entertaining first half comes to an end with the game somehow still goalless. Both teams have had opportunities to open the scoring, but goalkeepers Alisson and Pickford have each made excellent saves to deny Gomes and Shaqiri respectively. 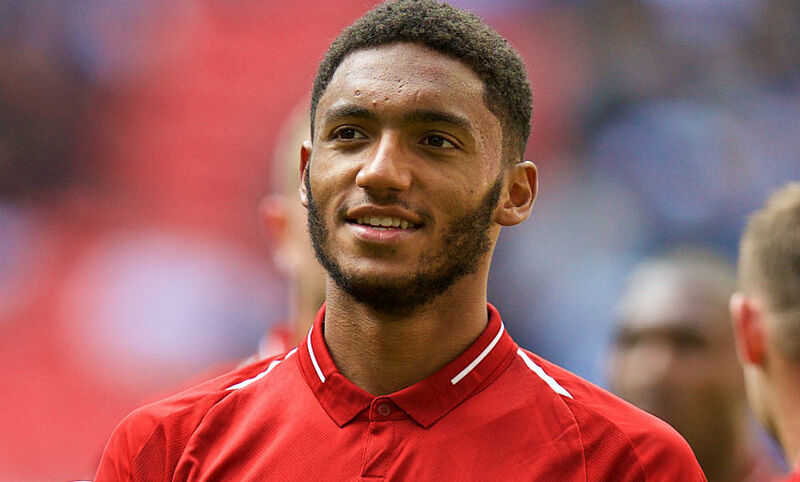 A word of appreciation for Joe Gomez, too, whose lightning-quick reaction enabled him to clear as the ball crept towards the goalline after Gomes had been foiled. But Alexander-Arnold's delivery is headed clear. Just the one minute added on at the end of the first half. That's Liverpool's best chance of the game so far. Fabinho nicks the ball back in midfield and Salah plays the No.23 in on goal, but Pickford does well to save his shot. Firmino tests Pickford from range at one end, before Alexander-Arnold gets a crucial foot in to deny Richarlison a shot on goal at the other. It's been an eventful, closely-fought opening half an hour here at Anfield. Incredible work by Alisson and Gomez prevents Gomes from opening the scoring. 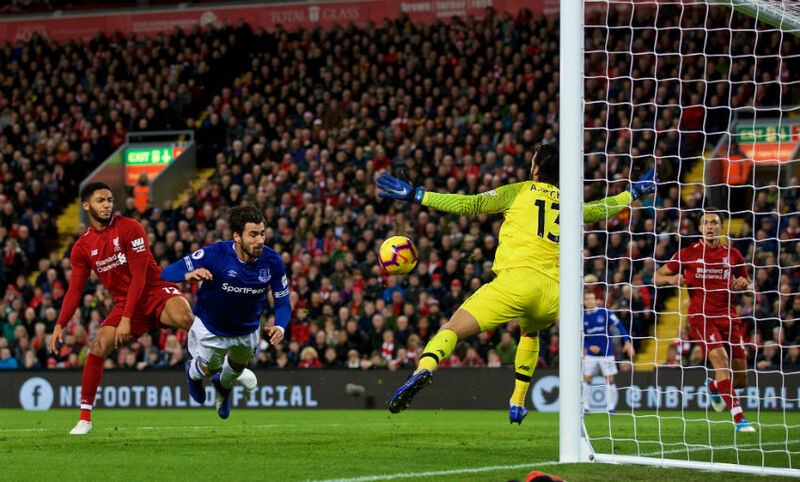 Alissson somehow saves the Everton midfielder's header from point-blank range, before Gomez gets back to clear as the ball looked set to trickle over the line. Everton's appeals for a penalty after Richarlison went down in the box are dismissed by the referee. Wijnaldum regains possession high up the pitch and, in a flash, Mane is in on goal as he's fed by Salah. The No.10's half-volley clears the crossbar, however. Mane floats a delicious ball over Digne's head, but Salah can't control and it runs out for a goal kick. The Reds are on top here. Liverpool have upped the ante in the last few minutes and Alexander-Arnold's low cross is diverted wide for another corner. Again, though, the set-piece comes to nothing. Everton go close as Digne's free-kick is nodded narrowly wide by Mina. As you'd expect, the atmosphere here at Anfield is brilliant. The Reds earned an early corner through an error by Pickford, but Shaqiri's delivery came to nothing. 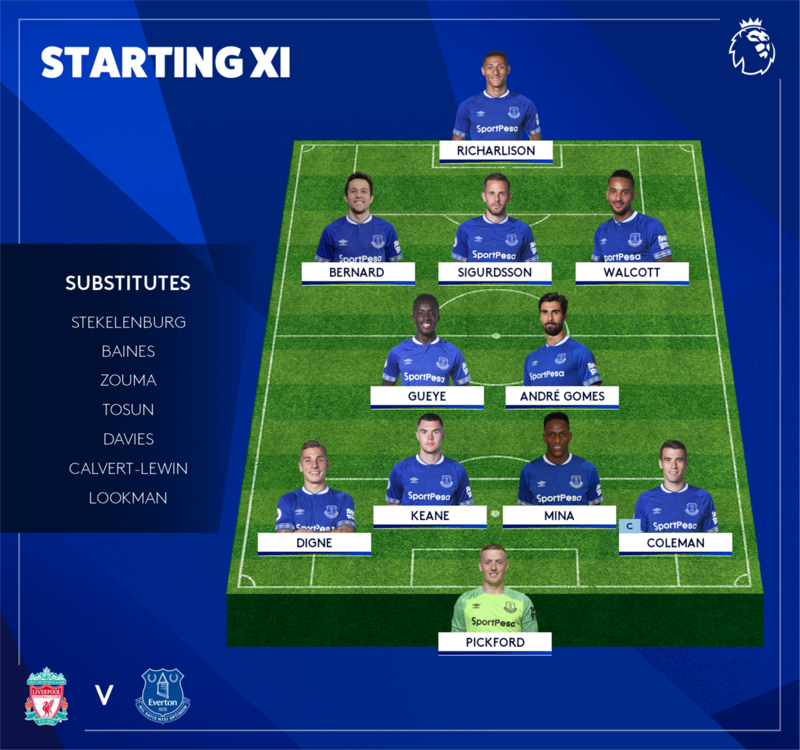 Everton get us under way. Liverpool are shooting towards the Anfield Road end in this first half. The teams are out and kick-off is just a few minutes away. 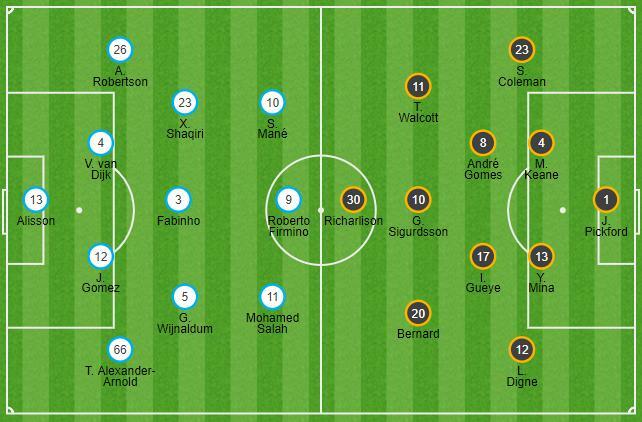 @liverpoolfc @everton Kick off 4:15! 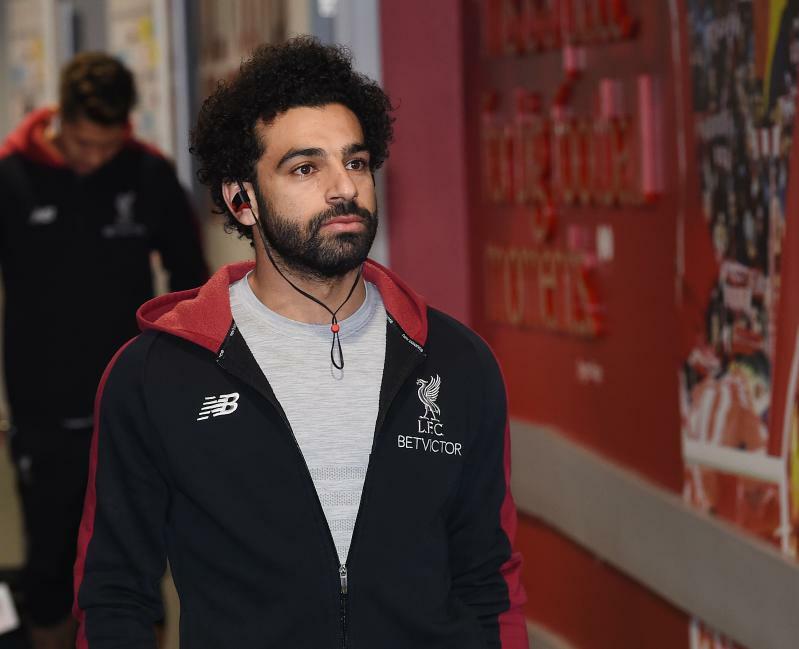 Mohamed Salah makes his 50th league appearance for Liverpool this afternoon. His previous 49 top-flight games have seen him score 39 times - meaning a goal versus Everton would see him equal the club record of 40 goals in a player's first 50 league matches, set by George Allan in 1898, while a brace would take him above Allan. 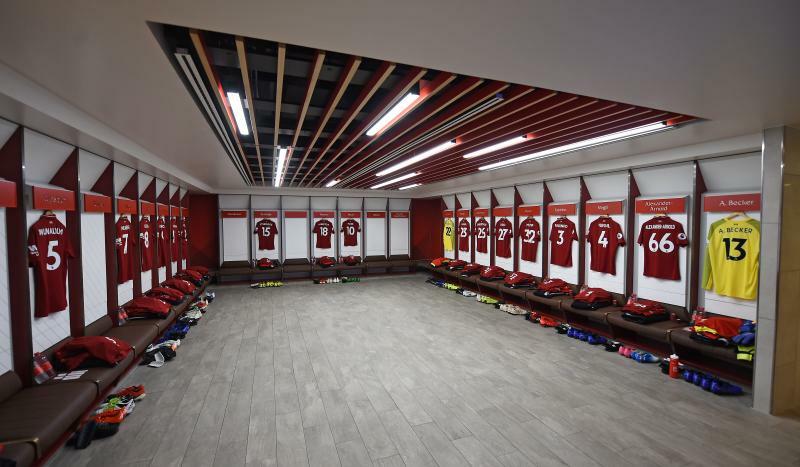 ...inside the LFC dressing room this afternoon. On Fabinho: “It worked pretty well so far. 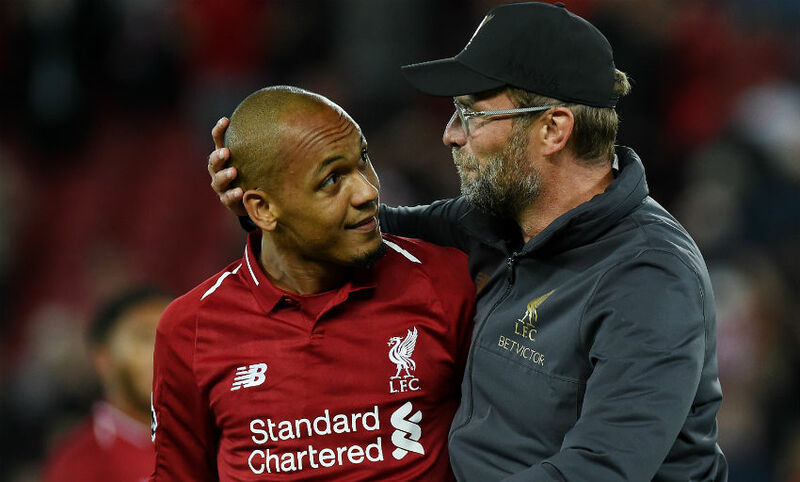 When the two boys [Fabinho and Wijnaldum] played together they did really well to be honest, so that’s the only reason for that. 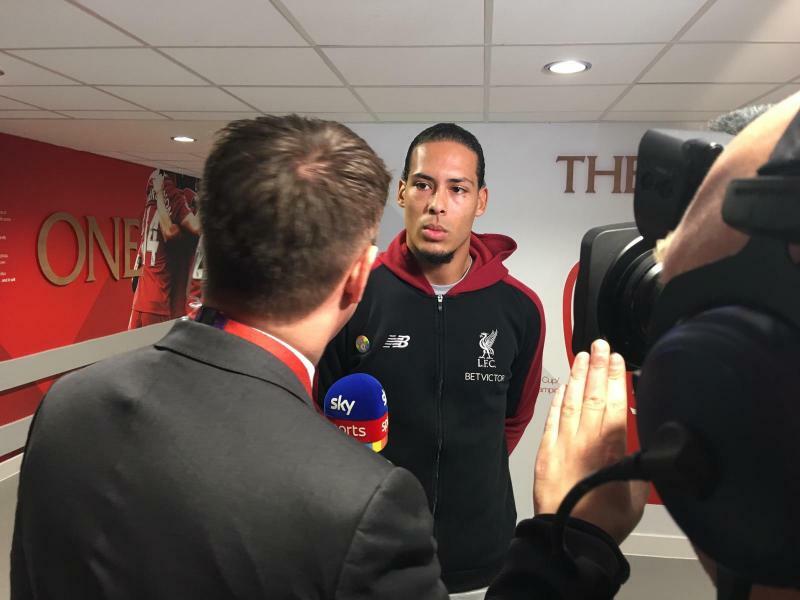 “Fabinho is obviously rested and trained really good, Gini is in very good shape. That doesn’t say anything about the other players to be honest - that’s my life, I have to make these decisions and in the best case the other players don’t deserve sitting on the bench. On Shaqiri: “It’s to have players between the lines, that’s where you have to come. 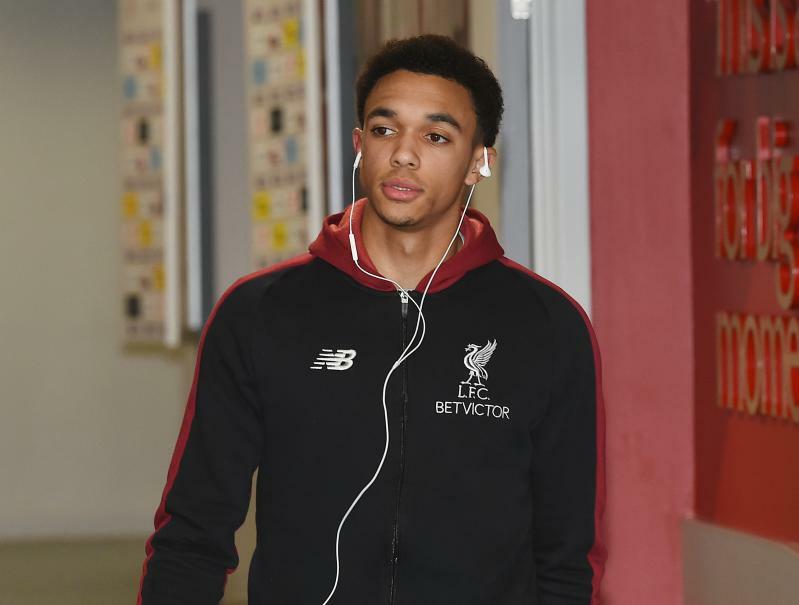 Xherdan Shaqiri, Trent Alexander-Arnold and Fabinho come into the Liverpool starting XI to face Everton at Anfield. 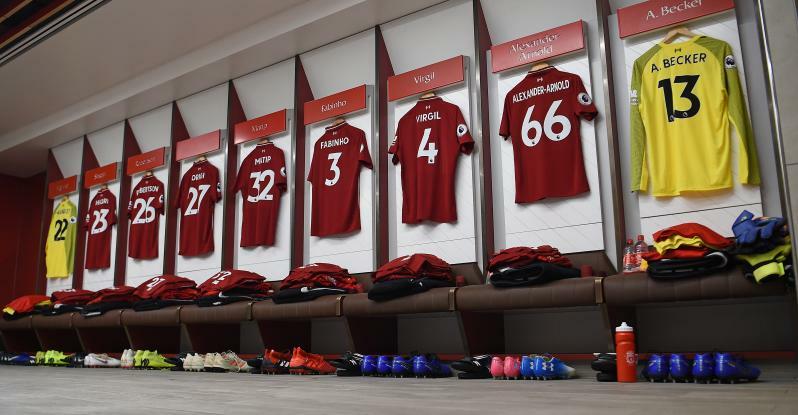 Virgil van Dijk captains the Reds, with James Milner on the bench and Jordan Henderson suspended. 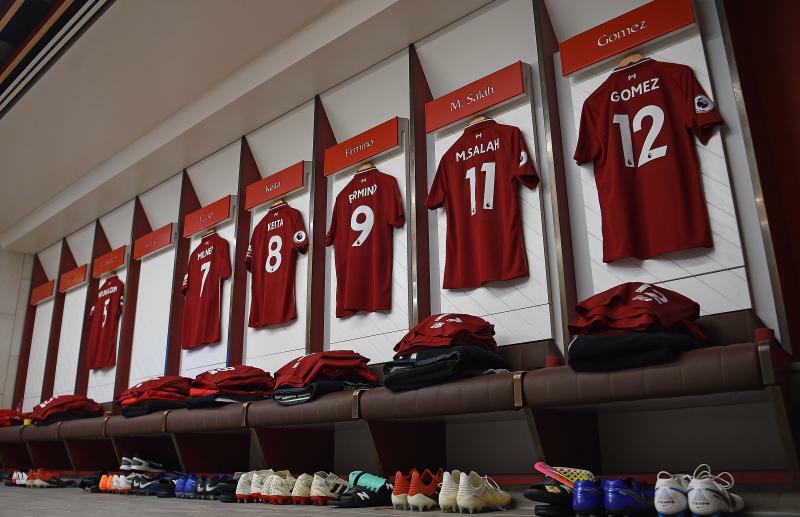 Liverpool: Alisson, Alexander-Arnold, Van Dijk, Gomez, Robertson, Fabinho, Wijnaldum, Shaqiri, Mane, Salah, Firmino. 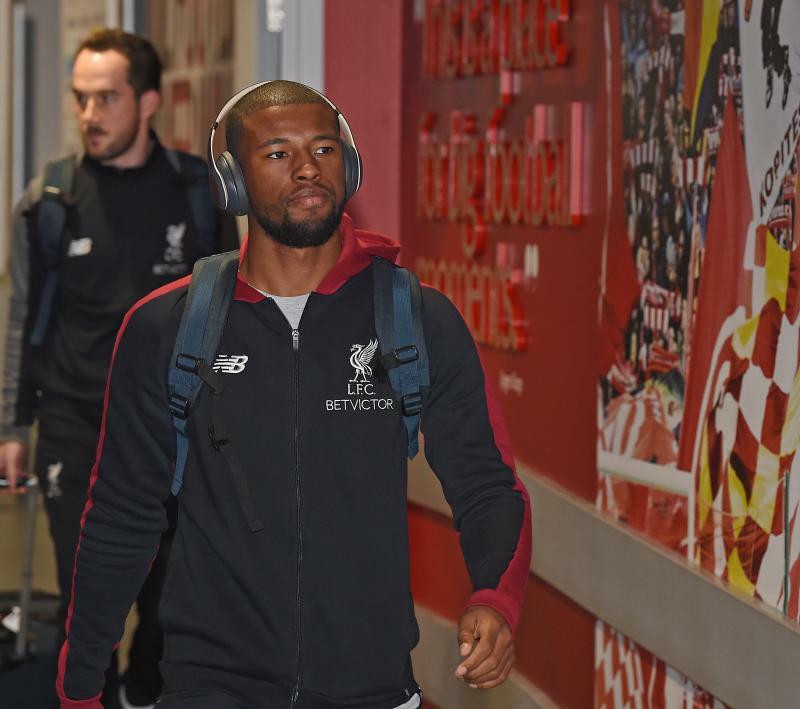 Substitutes: Mignolet, Matip, Moreno, Milner, Keita, Sturridge, Origi. ...for the pre-match media duties. 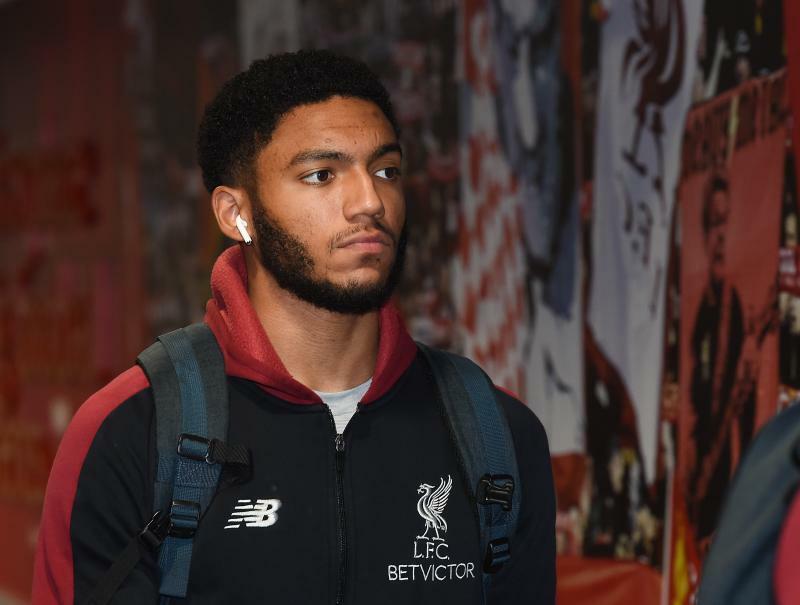 Joe Gomez needs no reminder of the significance of today's game. "It's a special one. 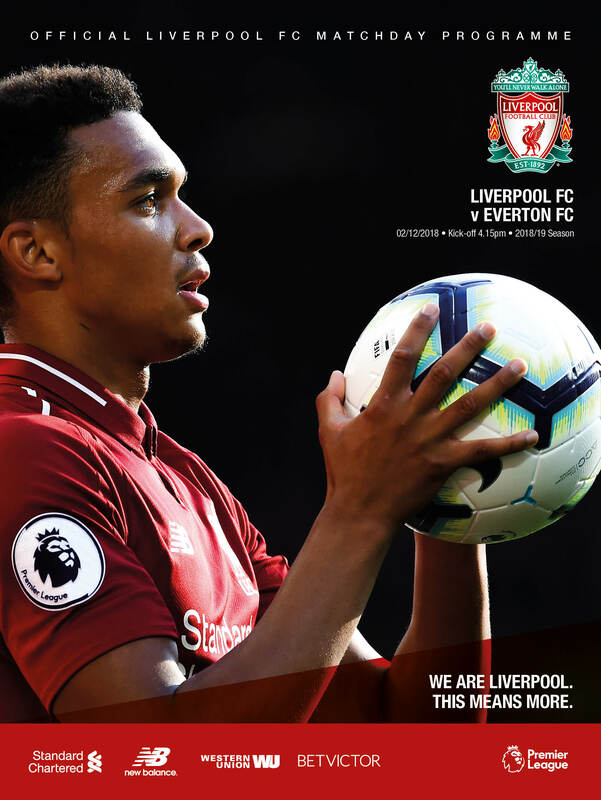 I think everyone knows the history behind the fixture and how much it means for the club and for us as players," the defender says in the matchday programme. "It genuinely is always one of the first fixtures you look out for every season when they are released because of the rivalry over so many years. We know it's a big game and it's never an easy one, but it's always going to be a good atmosphere." Dedicated followers of our live matchday blogs will know there is only one place to get your weather forecast before a game. Right here. It's overcast around Anfield at present. Drizzly. Coat or jacket recommended, though we should be spared the snowy conditions this fixture was played in last year. Pick up yours at Anfield today or subscribe online here. Merseyside will be divided for 90 minutes (plus the post-match debate) today but off the pitch, supporters are urged to unite in support of Fans Supporting Foodbanks and a crucial drive for donations ahead of the festive period. 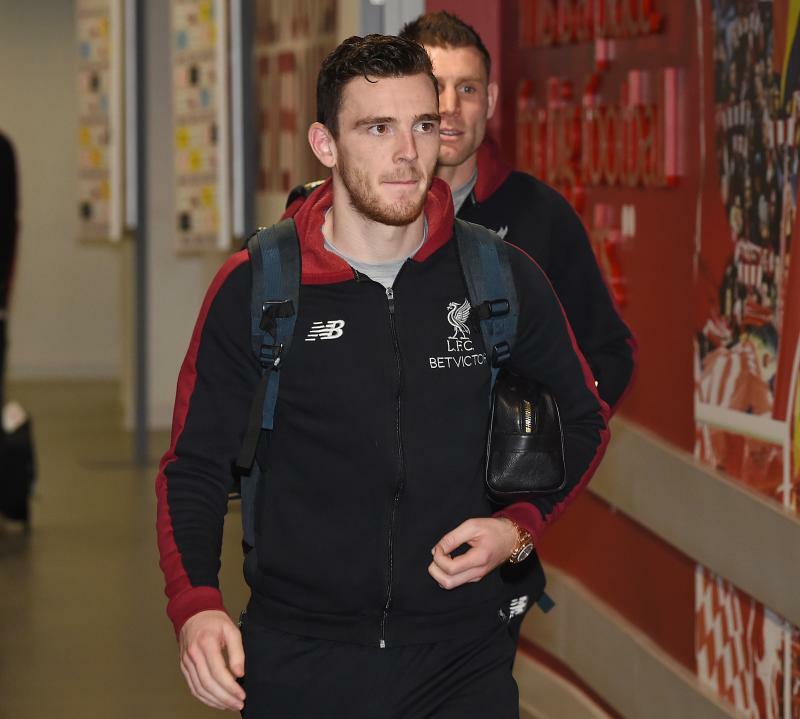 Liverpool defender Robertson visited North Liverpool Foodbank this week to meet the heroes behind foodbanks and learn more about their vital contribution to society - watch his short film below. And click here for more infomation on how you can help. Liverpool will be without the skipper, Henderson, this evening as he serves a one-match suspension for his two yellow cards at Watford last weekend. The Reds are also dealing with a handful of knocks from the midweek Champions League defeat against Paris Saint-Germain. 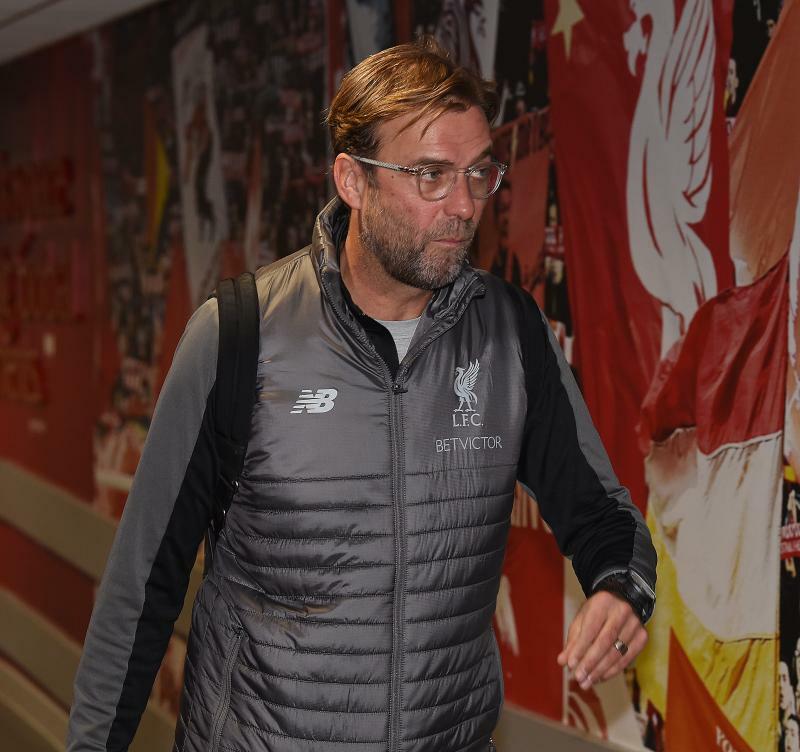 "It's good we have this one day more and it is not Wednesday - Saturday because that would be really difficult," said Klopp. "Wednesday - Sunday will be enough to have a nearly full squad then." 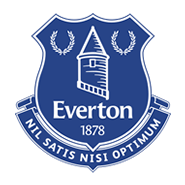 Everton boss Silva reported no fresh injury concerns ahead of the journey across Stanley Park. Andy Robertson and James Milner sat down with us to preview this latest edition of the Merseyside derby, offering special insight on how these matches are different and what Liverpool must do to ensure victory. BetVictor is offering the following match prices today. This is the 100th league meeting between Liverpool and Everton at Anfield. The Reds are unbeaten in the last 18. 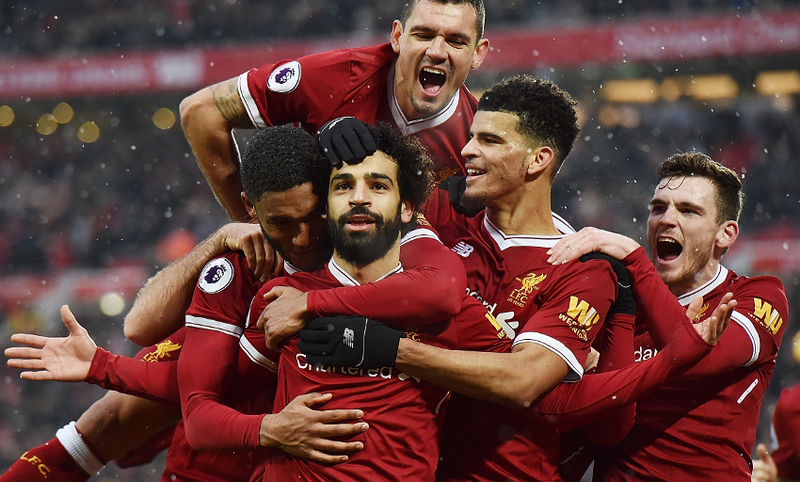 Mohamed Salah has had just one experience of a Merseyside derby so far - but the Liverpool No.11 already knows exactly what this game means. "I didn't know much about it before I came here. I just heard about it but in the last game when we played at Anfield, the atmosphere was crazy. I didn't expect it at all. "I used to play for Roma and they had a derby there but here, it is something different. The stadium was completely full and the fans were unbelievable, the atmosphere was crazy. I like it a lot. "The passion for the city, the passion for the fans, for them, this is the most important game in the season. "You must win the derby so it's something that pushes us as players from deep inside to give more. Even if it is two per cent more, that is something that will help a lot during the game so that's the special thing about the derby." There was plenty to discuss at Jürgen Klopp's pre-match press conference on Friday. 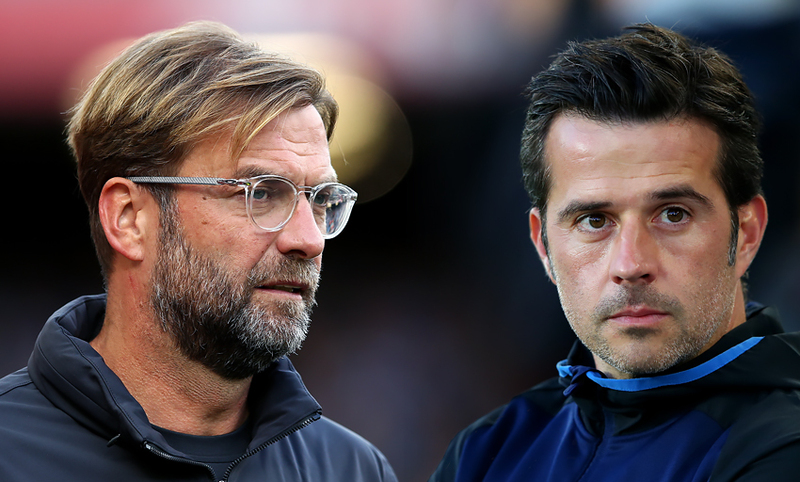 If you missed any of the manager's thoughts on the clash with Everton - including his Merseyside derby record and how the Blues have changed under Marco Silva - see everything he had to say below. 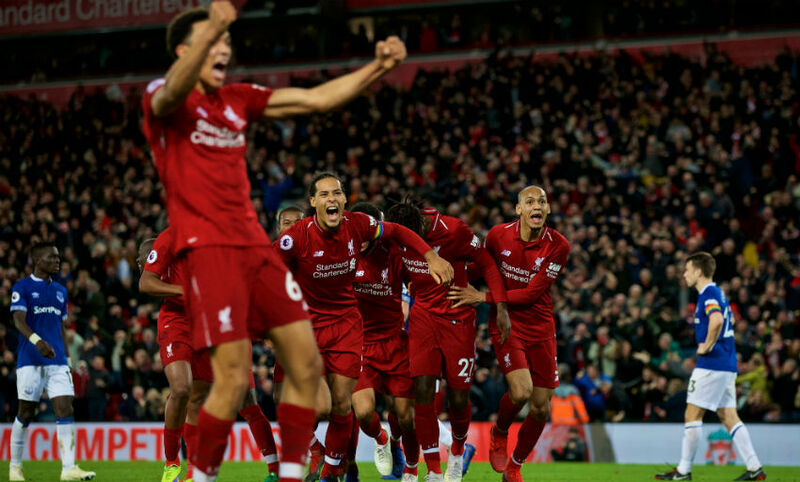 On the last two occasions Liverpool played on December 2, they scored five (at Brighton and Hove Albion last year) and six (at Southampton in a 2015 League Cup tie). Welcome to our live matchday blog for the 232nd edition of the Merseyside derby, with Liverpool set to host Everton in a 4.15pm GMT kick-off. 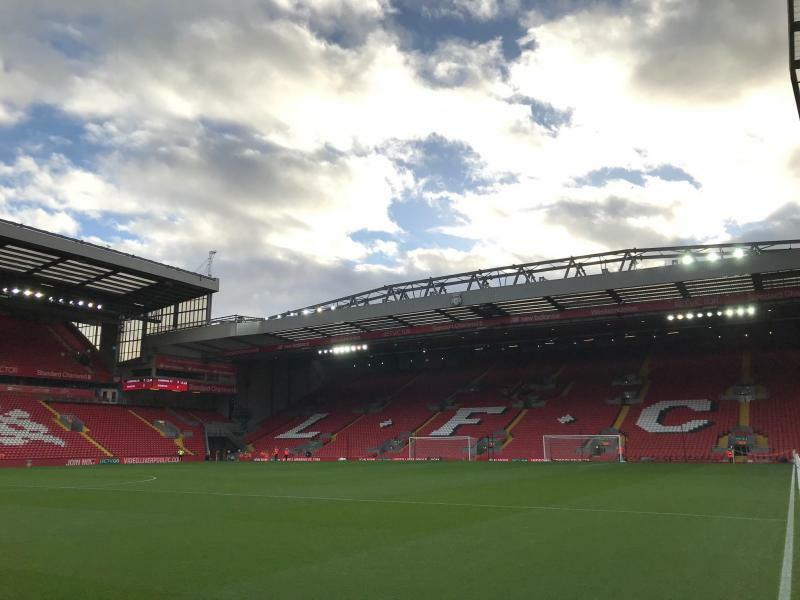 We're at Anfield to keep you updated with everything that happens throughout the day, including confirmed team news, videos, pictures, stats and reaction.